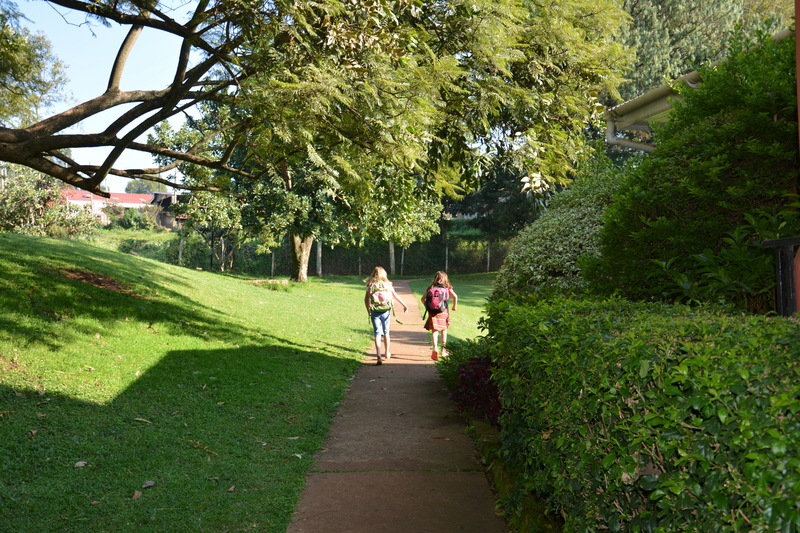 Since so many have prayed for and inquired about our schooling situation, I decided to give a brief description of our school days here in Kenya. The title of “Back To School” just didn’t seem right given that the word “back” implies a return to something known or familiar, whereas this year school resembles nothing familiar to our family! 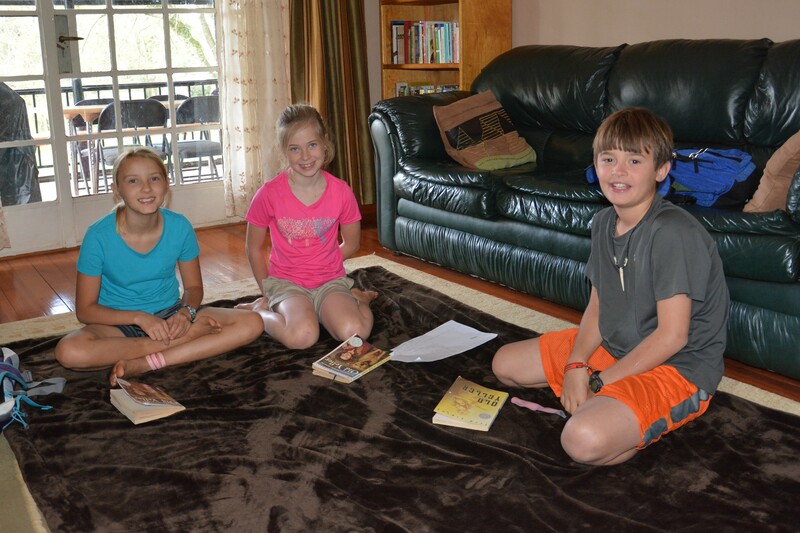 Rees is in a 4th/5th grade group of four children (with three others coming later in the year). They have four different teacher-moms in three different classrooms locations (in houses). 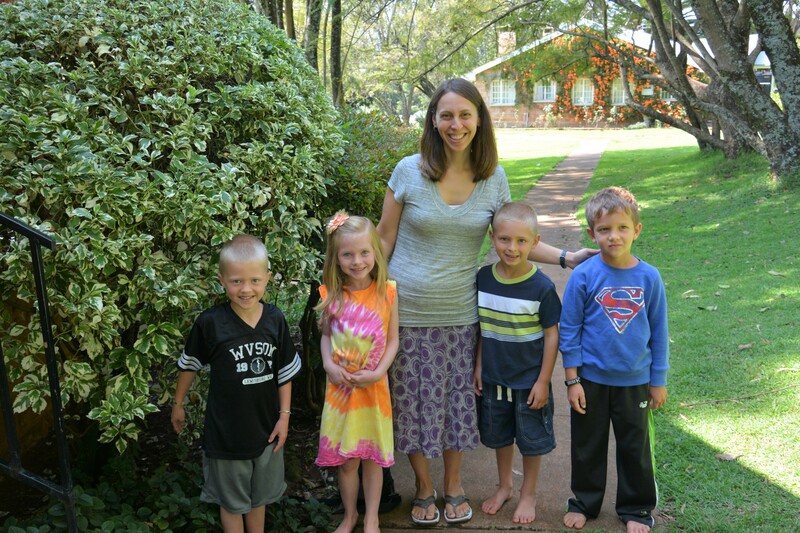 Other missionaries are typically referred to as “Aunt” and “Uncle” here. So Rees has “Aunt Jenny” teaching history, science, and spelling/vocabulary, “Aunt Ashleigh” teaching writing/composition, and “Aunt Angela” (me!) teaching literature. I also teach her math (on her own) and Bible. These classes fill the morning hours (8:00-1:00). In the afternoons she has art, PE, and science lab on various days. So far she loves her new school routine! Rees with our neighbor and fellow MK friend. 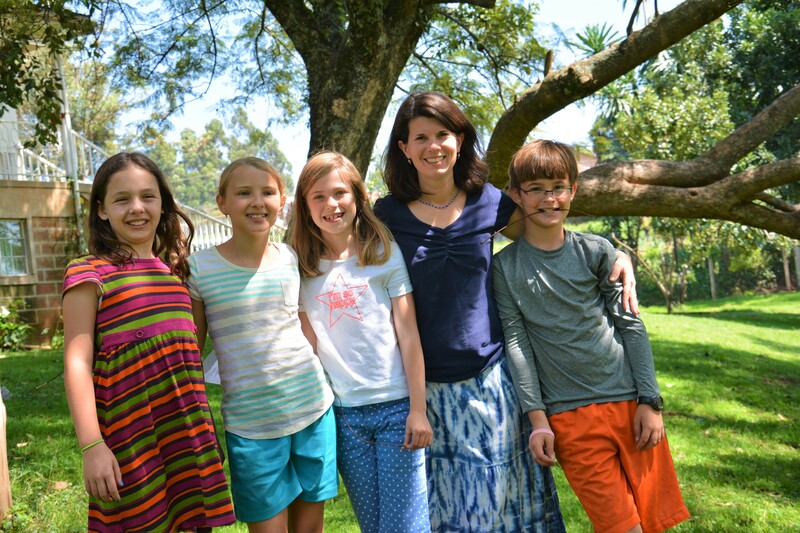 The 4th/5th graders with one of their teacher-moms. Mary Taylor is with a 1st grade group for all of her “core” subjects. Her teacher is “Aunt Erin” and her classmates are all boys. 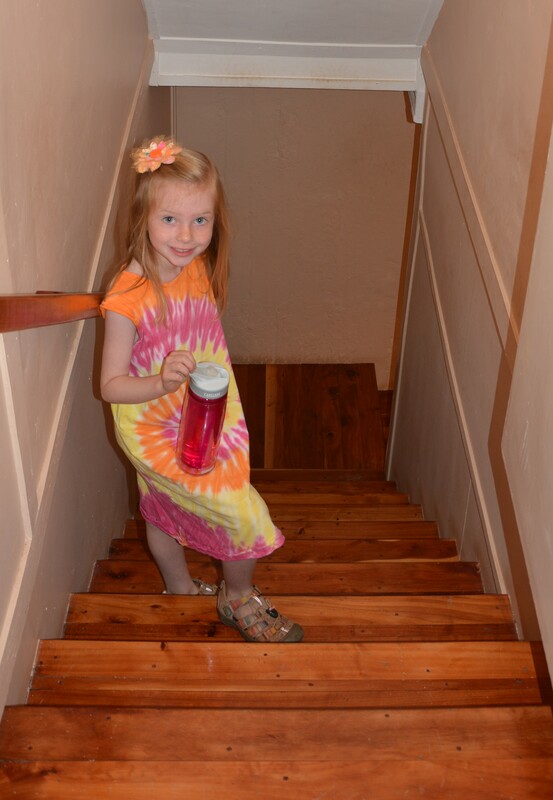 The first grade schoolroom is in our basement, so she simply walks downstairs in the mornings. Bailey (the dog that we are dog-sitting this year) will often wander downstairs to check on her during the day! 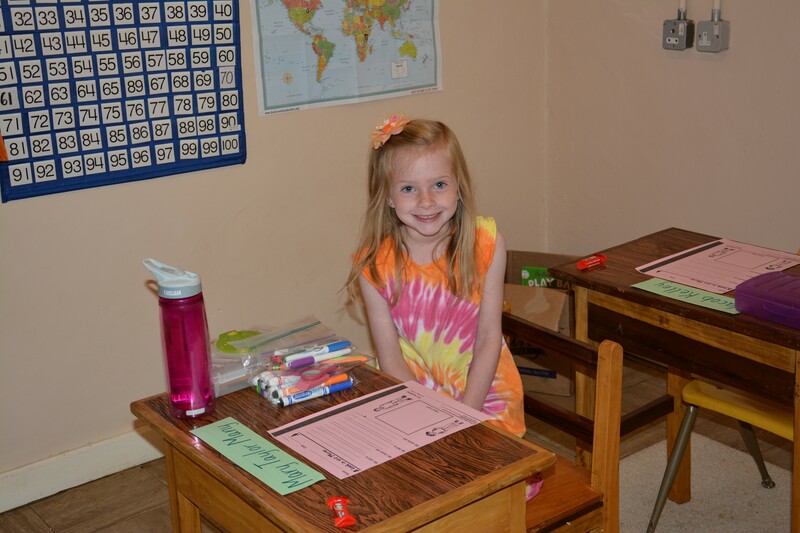 She is excited about 1st grade! Despite the challenge, I am so thankful that God has called us to a place where our children have community and classmates. I am so thankful for the resources and ability we have to educate our children well. I am reminded daily that for many Kenyans, education is not so easily obtained. For example, for children in Kenya, public schooling is not offered past elementary school. Attending “secondary school” (junior high and high school) is an expense that is far beyond reach for many families. 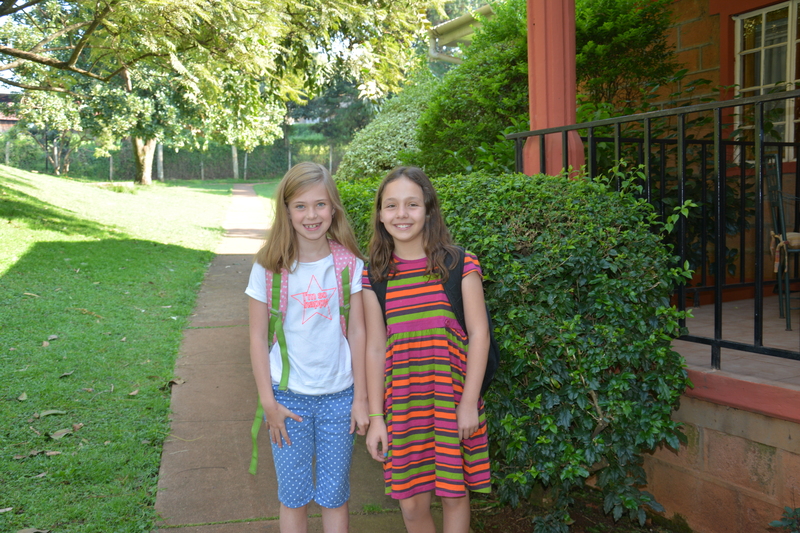 Even for elementary students, many fees are required. If these fees have not been paid in full, the children are sent home from school, not allowed to attend until the fees are paid. One of our new Kenyan friends is a single mother of five children, all in school, ages ranging 3 to 17 years old. Her husband passed away unexpectedly while she was pregnant with her youngest child. Her two children in elementary school leave home each morning at 5:40 am to walk to school in time for their 6:30 am start time. They are dismissed from school at 5:30 pm to walk home! Yet she has such a joyful and thankful heart, always a radiant smile on her face, expressing that she is thankful that God has given her work that lets her provide for her children and thankful that her children are receiving such a “good foundation” in their education through school. Thank you so much for the many prayers for our family as we transition into our new normal. Please also pray for our new Kenyan community, for the many families who struggle to provide their children with educational opportunities, for the many orphans without parents to advocate for them, and for the compassionate ministries here as they seek to help those children in need in meaningful ways…always pointing them toward the One Provider who is our only true hope.